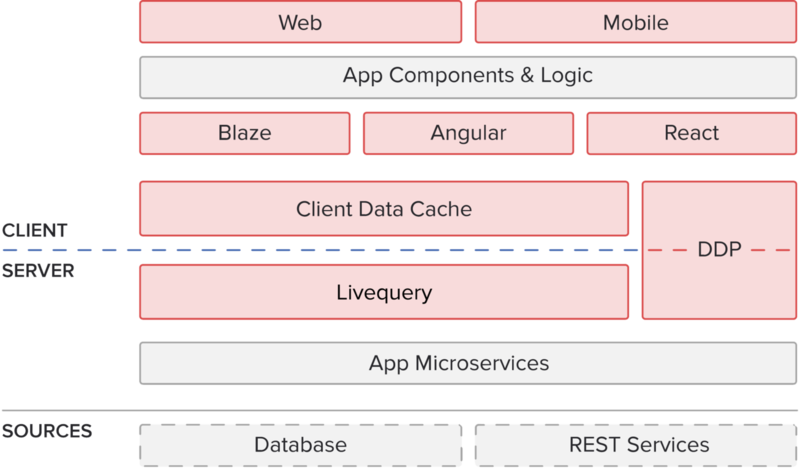 What makes Meteor different from any other framework I've tried is how simple makes building all the layers of the app with just a few lines of code. Meteor takes care of 99% of your usual tasks, like building APIs, fetching and saving data from the client, and much more. I'm currently building a new realtime product using Meteor, and I can't wait to launch it and see what people think about it. I'm actually very confident about the technology stack, Meteor simplifies everything so much, that iterating and adding a new feature takes a week. Update: here's Gakusei, a webapp made with Meteor that I just released as open-source, and here's also Fragments which I'm currently working on.